Congratulations to Ken Adams and Patti Cleary, 2016 Raymond A. Callahan Prize winners. Courses are taught by faculty from across the College of Arts and Sciences and each one has an interdisciplinary aspect. We break down departmental barriers to explore important questions through a variety of perspectives. What does it mean to be human? How do we understand the world we live in? Where did we come from and where are we going? Each MALS course invites broad thinking on issues of importance. Within the broad parameters of the program, you are free to shape your course of study to suit your intellectual interests, to follow your passion. Small seminar classes mean that you learn from your classmates as well as your professors. The diversity of the student body, the richness of their life experiences and the variety of their interests creates a stimulating and dynamic learning environment. While many MALS students are in the program for the pure joy of learning, the program cultivates important skills sought by employers: critical thinking, problem solving, research methods, writing, presentation skills. You can complete the degree on a part-time basis and classes are held in the evening for the convenience of those who are working. No GRE scores are required for admission. Join us for a half-day experience for all members of the community craving intellectual stimulation. Enjoy great lectures and relish a morning filled with the pleasure of learning Thought-provoking lectures by excellent faculty--and no test at the end! MALS alumnus Barry Corke gives a synopsis of his research into the life of Marjorie Speakman in WDDE’s Delaware Matters video series. MALS alum Ken Adams featured in UD Messenger magazine. This article from the Wall Street Journal underscores the value in the workplace of the hallmark skills imparted by a liberal arts education. Courtesy of Google and a feature article in the News Journal, I first learned of the MALS program a few years before I expected to retire from a career in higher educational publishing. My retirement plan was thus decided. As one who has always embraced rather than resisted change, I envisioned MALS as a stellar opportunity to transition from a protracted, all-consuming work-work-work existence to a new, stimulating life phase. MALS did not disappoint. I've always been devoted to learning. On my first ever day of formal schooling, I arose much earlier than required and danced about the still dark house in excited anticipation. Unlike many of my peers, in the years that followed, I was never overjoyed as the school year ended. MALS eliminated some of the less savory aspects of my undergrad experience – cramming for exams, peer competitiveness, pressure to excel, requirements that held little interest, and those easy-to-get-lost-in oversized classrooms. Instead I found that MALS offered appealing topics, committed and learned faculty with superb teaching expertise, and fellow students who celebrated the different paths that brought us together to share with good fellowship an environment of cooperative learning and yes, inspiration. Because I had not been a student for many decades, I approached the initial courses with some trepidation. Would I be able to hold my own? I would ultimately discover that an abundance of life experience afforded me a broader context within which to incorporate new learning. In those first courses, however, I realized that my recall abilities had altered. Eager to dive in, I would read assignments the day after class and take copious notes, too. Six days later, when the professor would open class with a straightforward question about the assigned reading, I would draw a complete blank, flip frantically through my notes, and panic. My ability to retain information apparently was not what it once had been. So I adapted, finding that reading closer to the next session made a big difference. Though I wasn't daunted by having to write papers, I spent the preparation time in a state of minor anxiety until I could do enough research (a process I cherished) to develop a "hook," a way into the paper that worked for me. Thus, I came to accept that I do not learn in the same way or at the same rate as I did as a younger student. Nevertheless, learn I did, with delight! I was often asked why I was, at this life stage, pursuing an advanced degree. I was puzzled when my "because I love to learn" response did not seem to satisfy. The flexibility of the MALS program allowed me a delicious deep dive into topics (film, history, aging, cancer, memoir, death/dying, philosophy) that had always drawn me but for which I'd had too little time to explore fully. As my chosen transition into retirement, MALS has bestowed a most enriching intellectual and personal experience. "On its webpage, the Master of Arts in Liberal Studies (MALS) promises that the program 'develops the timeless qualities of liberal education at the graduate level: to think freely, to imagine adventurously, to choose discriminately, and to understand deeply.' This is what drew me to the program and I have not been disappointed. "The MALS program has provided me the opportunity to rediscover the sheer joy of thinking and learning. My objective is to use the MALS experience to guide me as I consider the next stages of my development and the successes I have had has made me realize that old rocking chair is not getting me." Charles Conway is a current student in the MALS program. He is Director of Education and Community Engagement for the Delaware Theatre Company. “I knew I would be investing a lot of time earning a degree in addition to working fulltime, so it was vitally important to me to have class time that ensured passion and a quest for learning among a diverse group of people with vibrant interests. In an MBA class, there would be mostly business professionals discussing industry skills, and we likely wouldn’t be discussing Galileo or Hitler or oral history as I did in several courses in the MALS program. I have never really been interested in a degree that was essentially ‘job training,’ and I was continually in awe of my MALS classmates’ life accomplishments. “As a classical ballet student growing up, I was always close to the arts and wanted a curriculum that would allow me to continue that exposure. I was able to pursue an independent study on the history and role of typography with a great professor in Visual Communications, Ray Nichols, as I was about to make a career change into advertising and marketing. And my synthesis project consisted of an oral history of a former ballet teacher, John White, who was an American ballet dancer with the Ballet Nacional de Cuba when Fidel Castro began the company in the late 1950s. I even coordinated a viewing of a related documentary, Mirror Dance, on campus, converging my oral history coursework, my synthesis project, and my love of ballet. "My current connection to the arts in the state is closely related to the University of Delaware. 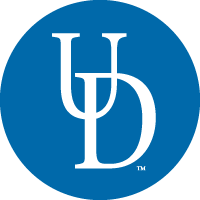 UD was the first intellectual home I had when I moved to Delaware. One of my first classes at the MALS program was "Art in the Twentieth Century"... where we explored the renewed impact of the Mexican Muralism Movement. By opening this world to me the MALS program nurtured my ongoing involvement with the arts and culture in the state." Guillermina Gonzalez is a multicultural professional with experience in the United States, Mexico, and Europe in her successful career as an executive in both the corporate and nonprofit sectors. She began her career working for multinational organizations in marketing and sales and has since brought her corporate expertise to the nonprofit sector. Currently, she is the Executive Director of the Delaware Arts Alliance, the highly active arts advocacy group in the state. Previously, she served as the Executive Director of the advocacy organization Voices Without Borders. Dr. Gonzalez is actively involved in the community and serves as the Chair of the Americans for the Arts' State Arts Action Network and Delaware's NPR radio WDDE Community Advisory Board. She has served on the Delaware State Arts Council, as well as on boards of Delaware College of Art and Design, Metropolitan Wilmington Urban League, Latin American Community Center, and the AARP Executive Council. The University of Delaware's College of Arts and Sciences distinguished Dr. Gonzalez with the Alumni Achievement Award in May 2014. Dr. Gonzalez has an MBA from Universidad Iberoamericana in Mexico City, where she taught marketing and business administration. She holds a Certificate in Leadership and Public Management and a Master of Arts in Liberal Studies from the University of Delaware. She obtained her doctorate in Business Administration at Wilmington University in January 2014. "My bachelor's degree was in English, though my career had moved in another direction. I really wanted the chance to go back to my humanities "roots" and continue the learning process. The MALS program seemed like the right choice. "The MALS program was an enriching and eye-opening experience that has piqued my interest in a variety of subjects. There were a number of 'wow' and 'aha' moments in just about every course I took...moments when I saw things in a new way or learned something that really made me think. With so much information overload today, I found that the MALS classes helped me better understand the context of the facts and data in order to see the big picture more clearly. "I feel so fortunate that the MALS program was available to me. Each course was both provocative and interesting. One of the lasting benefits has been the number of friends whom I met that continue to enhance my life." Marianne Green is a 2002 graduate of the MALS Program. She pursued her master's degree while serving as a Career Counselor at UD. She has a commitment to lifelong learning, especially in the humanities. "I wanted to get a graduate degree at UD, and was considering art or art history, which I studied as an undergraduate. During campus meetings with administrators I was introduced to Liberal Studies and decided to apply. As a journalist, I consider academic research and writing at the graduate level applicable to my discipline. "The MALS program has given me added incentive to research and think through issues that are stimulating and important to me. It’s enlightening to see the preparation and attention MALS professors, who are drawn from various disciplines, put into their classes. I’m also impressed by the tenacity with which MALS students tackle their papers. I appreciate the option to take classes in graduate programs other than Liberal Studies. As an older student it's been challenging, humbling and rewarding to be able to engage in discourse with academically talented and accomplished twenty-something Ph.D. candidates. "Also I’ve been fortunate to make many new friends here in the Newark area, both within and outside the academic community." The MALS program encouraged 2014 alumna Michele Walfred to combine her interests in journalism and art with her growing fascination for the 19th century American immigration experience. Originally motivated to explore her own Irish heritage, her last MALS course, Contemporary Culture: Asian Immigration to America, inspired Walfred to look beyond the familiar and probe deeper into the commonalities between the Irish and Chinese immigrant experiences, and the social, cultural and political reasons for their volatile relationship in a youthful yet expanding America. Walfred's capstone project, Illustrating Chinese Exclusion (www.thomasnastcartoons.com) explores the 46 cartoons drawn by Thomas Nast for New York-based Harper's Weekly, and compares Nast's depictions to that of George F. Keller, who drew for The San Francisco Illustrated Wasp. It is the first thorough examination of Thomas Nast's work featuring Chinese immigrants, Chinese Americans and U.S.-China relations as subjects for editorial cartoons. While Illustrating Chinese Exclusion provides a glimpse into the percolating immigrant issues of that era, Walfred's historical spotlight remains relevant today as national conversations about immigration and inclusion/exclusion continue to be passionately discussed. Nearly 173,000 have visited the website in its first two years. Walfred's MALS project is used as a resource for high school students and colleges such as University of Dayton, University of Connecticut, Louisiana State University, Baruch College-CUNY, St. Joseph's College and Brandeis University to name a few. Her work has been cited by NPR, Politico and The Boston Globe, among others. "The MALS program changed how I view everything," says Walfred. "I soon found that what you think you know, or what has been handed down to you, is often coming from a limited point of reference. The MALS program has trained me to look around. Indulge my curiosity. Go find out. Explore. Peel back the layers. You will be surprised by what you discover!"